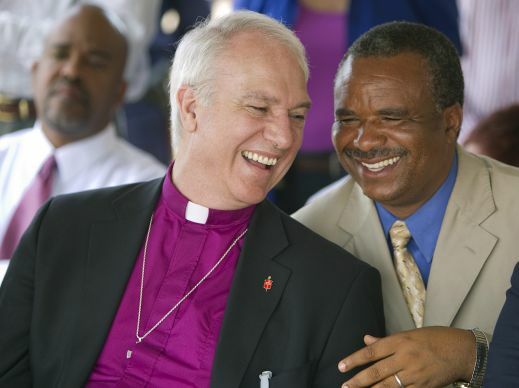 United Methodist Bishop Thomas Bickerton (left) shares a laugh with the Rev. Kimba Kyakutala Evariste of the United Methodist Church in Democratic Republic of Congo in 2010 World Malaria Day in Lubumbashi, DRC. Photo by Mike DuBose, UMNS.